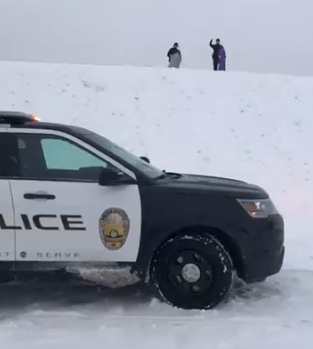 Cops Go Sledding For “Safety Reasons” When Someone Calls 911 On Kids Playing. Kids are constantly getting flak for spending too much time in front of their screens and not enough enjoying all Mother Nature has to offer. But sometimes, even when they do follow their elders’ advice about going outside and having good, wholesome fun, they still can’t win. 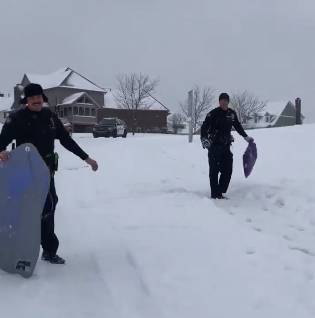 Over the weekend in early January, children in central Indiana were sledding down a snow-covered hill when someone called the Noblesville Police Department and complained. The department promptly sent out two officers to check on the kids. What brave officers, risking their very lives just to make sure the hill is up to snuff! “Well, we survived,” one can be heard saying after they hit the bottom of the hill. That’s good enough for us! Footage of their “safety check” went viral, amassing millions of views just four days after it was posted. 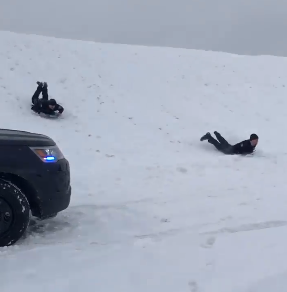 Many commenters praised them for showing kids that cops are normal people who can have fun, too. Others had a laugh by poking fun at the anonymous caller. “Yes, 911, I’d like to report a crime! Yes, some kids are standing on a hill! 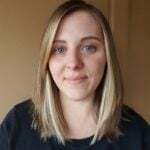 Please hurry before they have fun,” one Reddit user wrote. 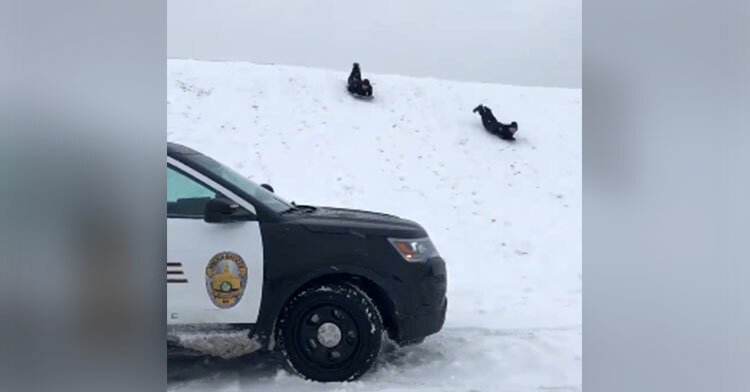 Watch below as the good-natured officers glide down the hill and share if their antics made you smile. 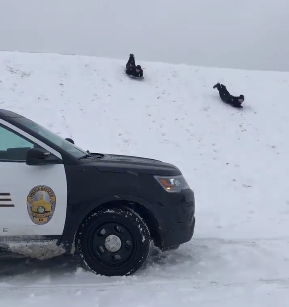 Our officers got a call that kids were sledding into a dangerous area. Once they arrived they determined that the kids were being safe and responsible and not in a dangerous area. The next thing to do was to take a test run, for safety reasons and stuff.